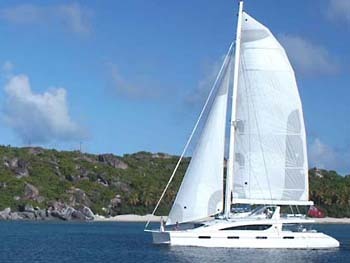 Catamaran Kings Ransom is a 2008, 76’ Matrix catamaran offering crewed yacht charters in the BVI & USVI starting December 2018. 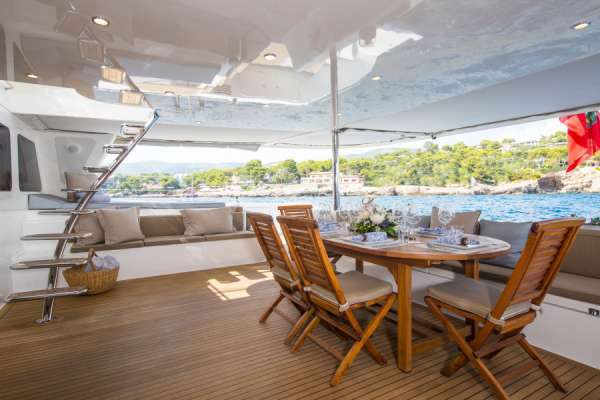 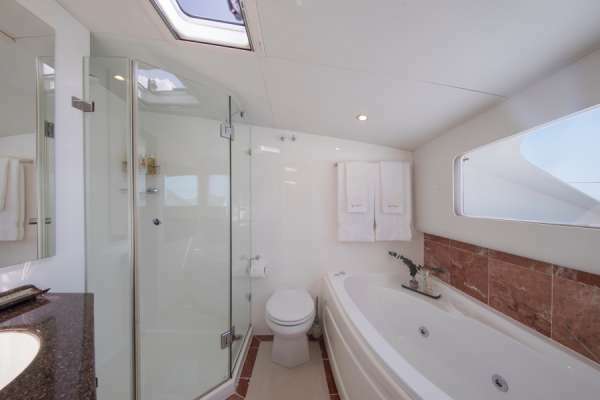 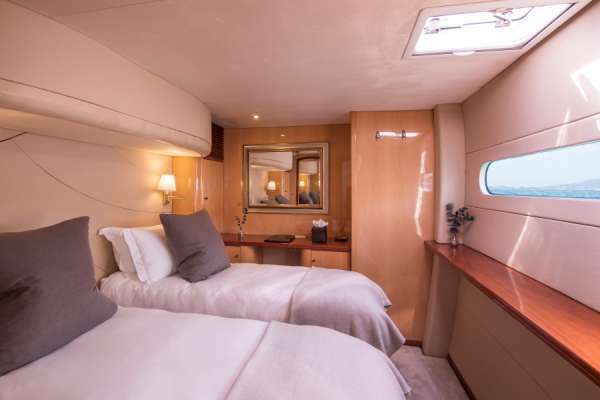 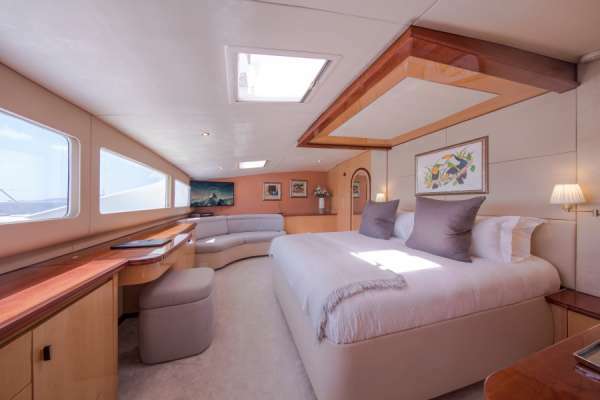 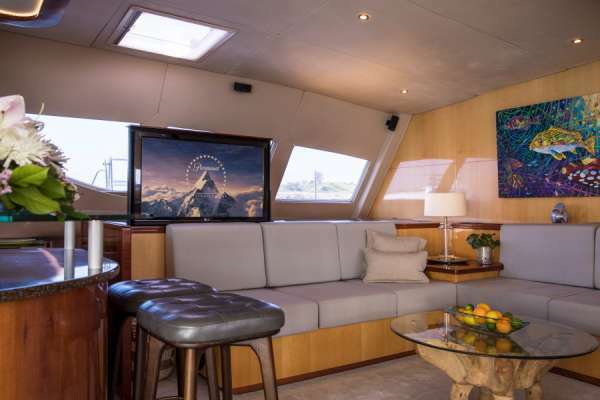 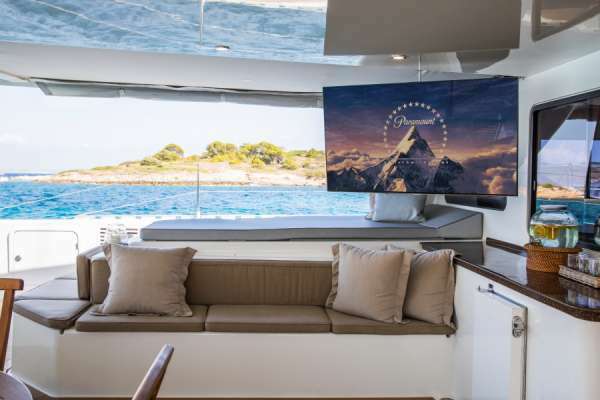 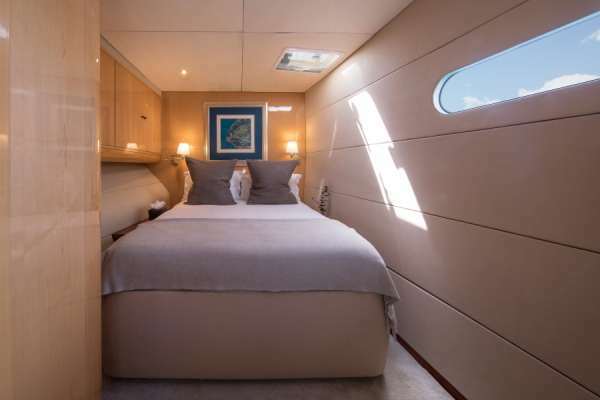 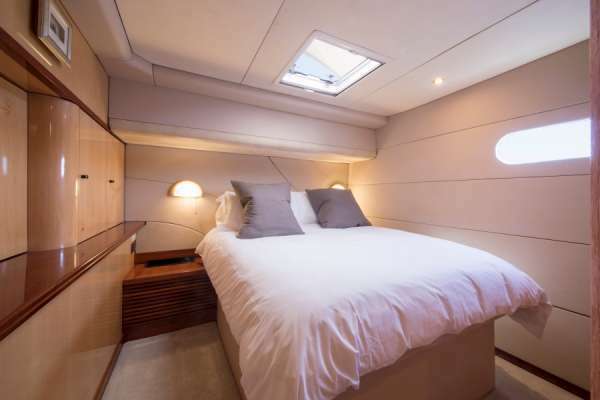 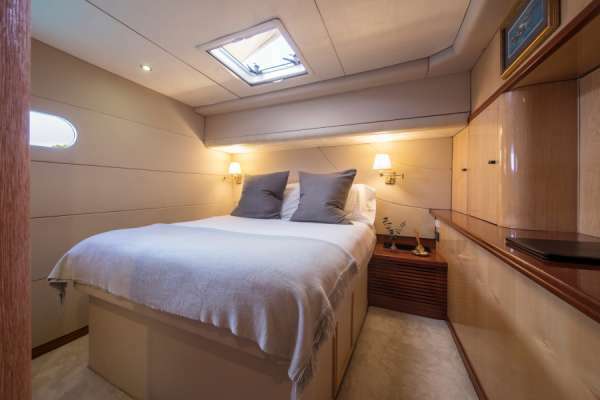 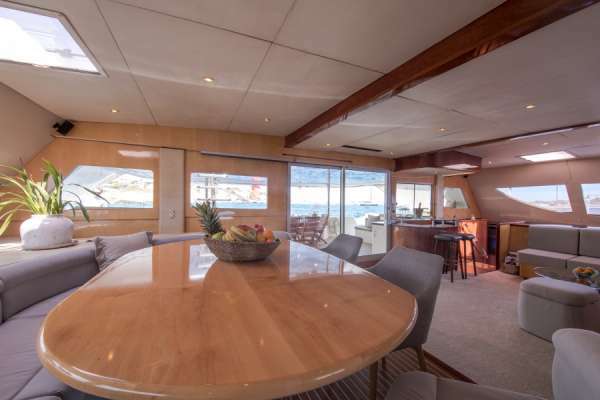 She features a fly-bridge deck and accommodations for up to 10 guests in 1 Master King Suite plus 4 Queen cabins, one which is convertible to a Twin on request. 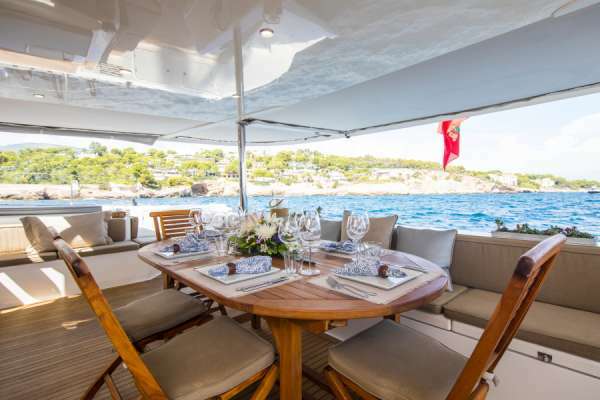 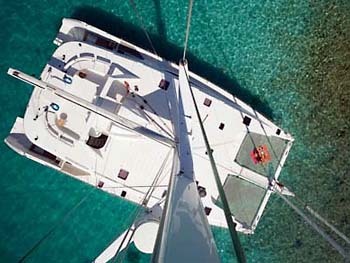 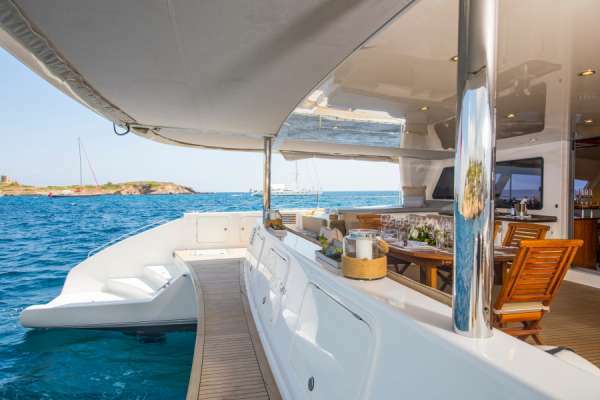 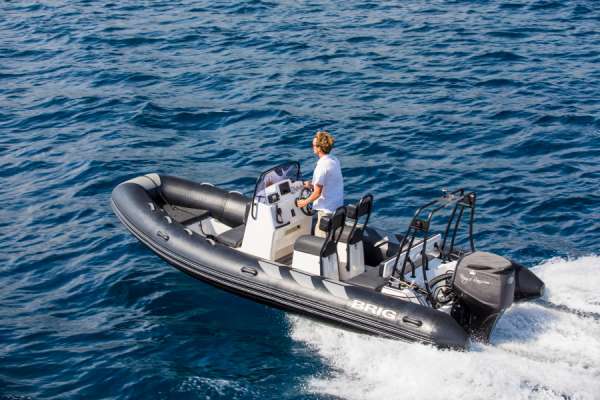 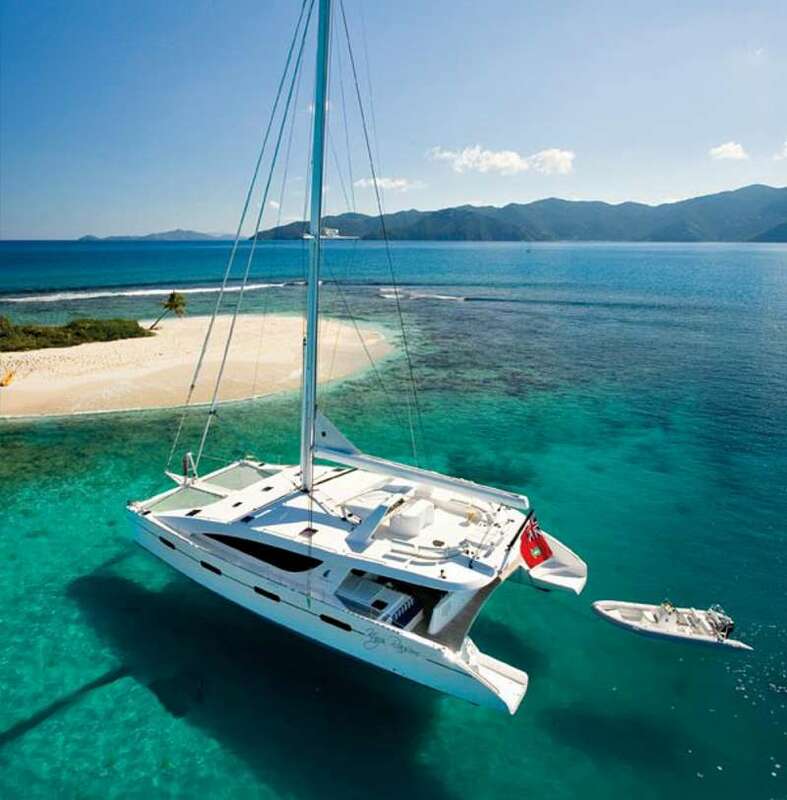 Catamaran Kings Ransom is a Carefree Yacht Charters high-end, exclusive selection for families, couples, divers, foodies or special occasions. 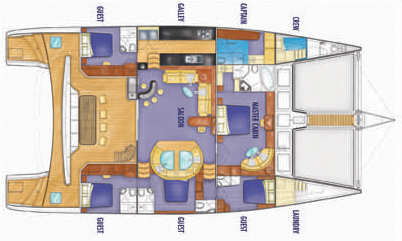 Rates from $48,500 to $52,500. 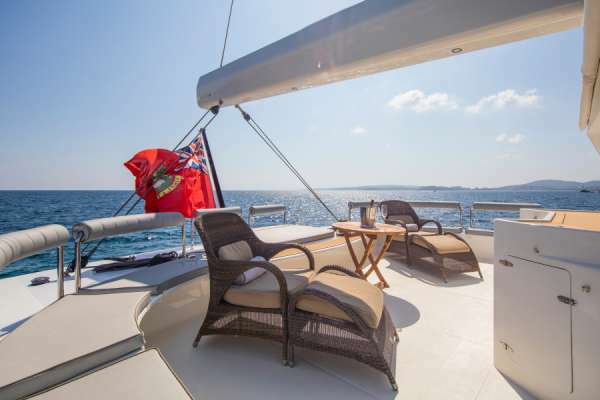 View availability and rate details. 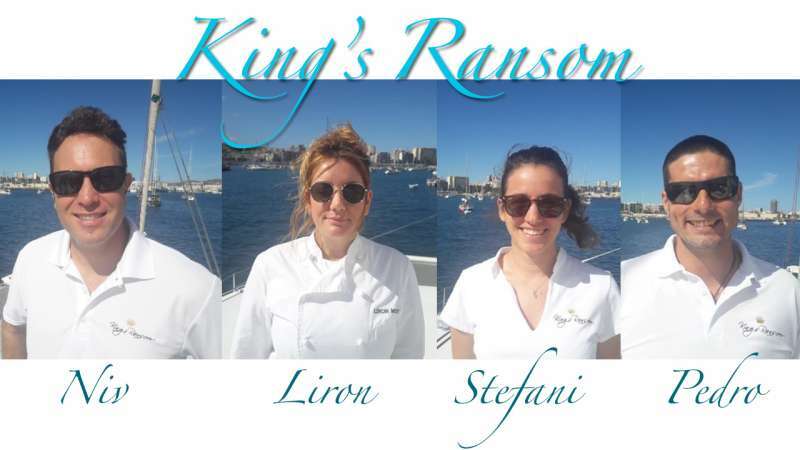 To learn more about this crew or for further details about KINGS RANSOM (WINTER), call us in our South Florida office at (954) 980-9281, toll free at (888) 670-6884 or fill out our Quick Request Form. 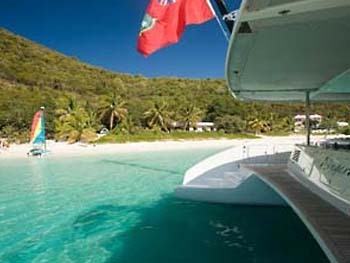 Christmas week: up to 10 guests for 7 nights aboard - US$57,750 New Years week: up to 10 guests for 7 nights aboard - US$60,400 Charters outside the Virgins: Regardless of whether or not a vessel may or may not include taxes in the vessel's listed charter fees for Virgin Islands charters, in general, no fees, port dues, nor taxes are included in the charter fee for any charter outside the Virgin Islands unless otherwise agreed. 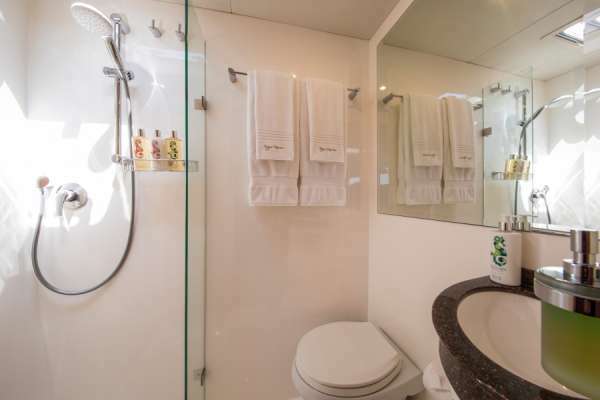 King's Ransom is fully air-conditioned throughout and each guest suite has its own flat-screen TV &amp; DVD player.